Open Houses! 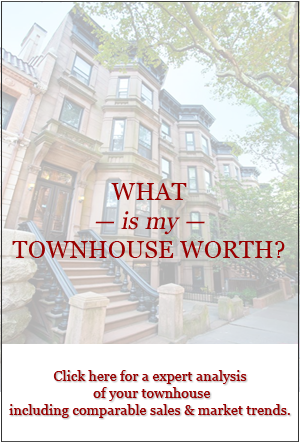 Four chances to see our townhouses this week. Mark your calendars for this week’s open houses! 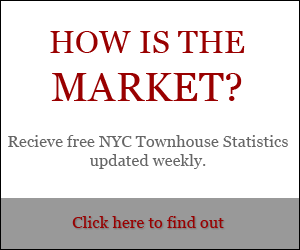 For more information about any of the following townhouses, please call Cathy Connolly at 212.769.2900. Wednesday,7/8 from 12-1:30pm at 410 Clinton Street, Brooklyn. (For Sale: $3.1M). 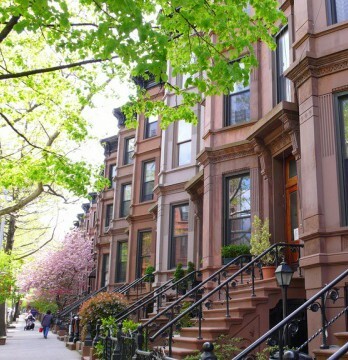 Sitting on one of the prettiest blocks in Carroll Gardens, 410 Clinton Street is a gorgeous single-family townhouse with the possibility of rental income. An open floor plan, high ceilings, and over-sized windows create a feeling of depth and breadth. Stretch out and relax in the elegant, airy parlour floor, with its spacious dining room and unbroken sight lines. The master bedroom suite enjoys a walk-through dressing room with an entire wall of floor-to-ceiling closets. Original woodwork and new parquet floors beautify every level of this home. Zoned as a single-family home with a garden-level office space, and delivered vacant, this townhouse offers unparalleled flexibility. Easily renovate the garden level to create another 900+ square feet of living space. You can also choose to rent out the garden/basement office duplex and enjoy high monthly income. 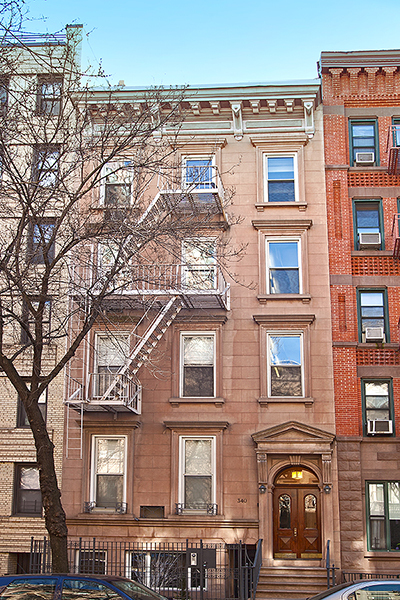 Thursday,7/9 from 12:30-2pm AND Saturday,7/11 from 12-1:30pm at 340 East 77th Street Triplex. (Rental: $16k per month). This luxury rental boasts three newly-renovated levels and a 1,350 square foot multi-level garden. With four bedrooms, three full baths, two fireplaces, and a fully-finished cellar level, this 25-foot-wide rental is rich with modern elegance. A gut renovation was completed in 2009. The kitchen features state-of-the-art appliances including a wine cooler. The master bedroom includes a white marble wood-burning fireplace and a walk-in closet. Enjoy the beautiful, modern light fixtures on every floor. Read or barbecue in the enormous, park-like garden, or look down at it from the balcony overlooks. This building is walking distance from Carl Schurz Park, John Jay Playground, Chapin School, and The Birch Wathen Lenox School. The security system is an ADT Fire and Entry System. All windows and doors are secured, and the alarm system is integrated with the intercom system, with cameras in the front and in the garden. The building includes an industrial-strength two zone central air system. Window treatments are included. The rental begins on July 1. 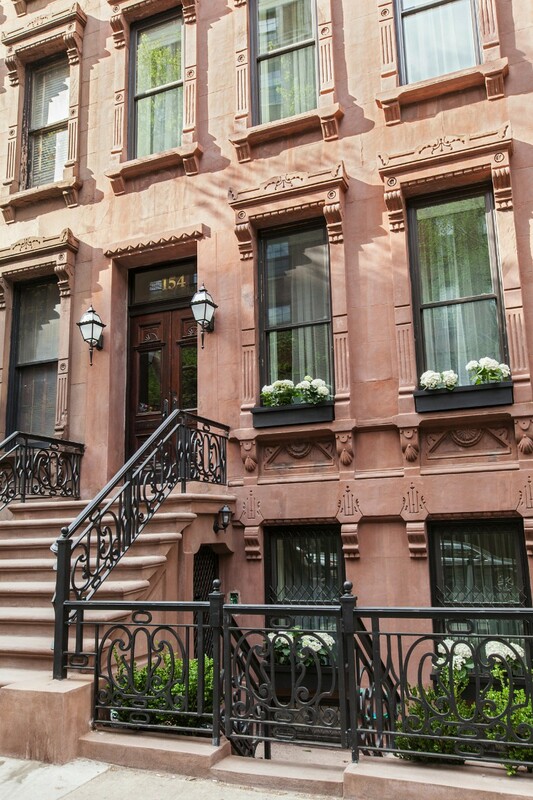 Sunday,7/12 from 12-1:30pm at 154 West 73rd Street. 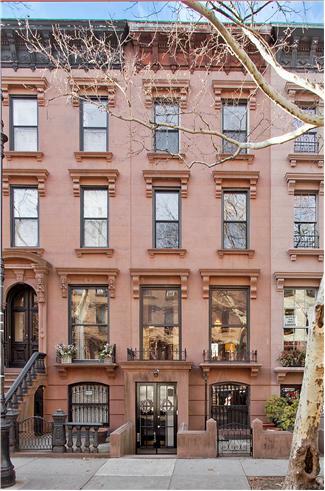 (For Sale: $11.9M). It all starts when you take off your shoes and feel the radiant warmth from these gorgeous floors. Leveled during the renovation, this stained quartersawn white oak floor with radiant sub-floor heating system provides luxurious underfoot heat throughout the house. This parlour floor has an amazing open feel that is almost loft-like. Between the tall ceilings and ability to see all the way to the back of the building, this is a perfect space for entertaining. Newly renovated, every detail has been tended to in this gorgeous single-family home. Plentiful light, fresh air, and warmth flow through every floor. Original woodwork can be found throughout the house, including mirrors, wainscoting and stair banisters, which were all meticulously stripped to remove the old leaded varnish. The new stairs are sturdier and wider than most townhouse staircases, but retain the same look due to the original banisters, newels, and posts. The attention to detail even includes the custom doors: the colorful doorknobs have been wrought from beautiful gemstones and minerals.